When it comes to building muscle, nutrition is just as important as weight training! In order to gain muscle you must be in a caloric surplus, that means to eat more than your maintenance level and also according to how active you are (you can calculate your Basal Metabolic Rate here). 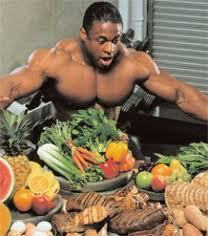 Research has shown that subjects who ate more calories gained more muscle, but only to a certain extent. If you overdo it, you will also gain fat along the way and I’m sure you don’t want that. Eating a lot of junk food might help you gain weight, but not the one you are looking for (aka muscle). 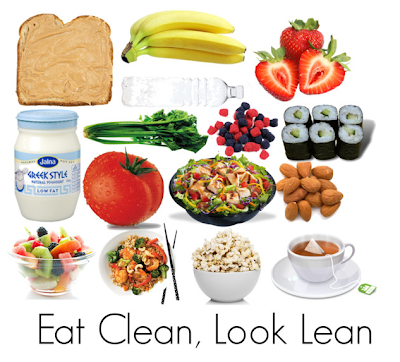 So that’s why it is important to eat quality, nutritious food commonly known as “clean food”. One of the best sources of quality protein consists of lean cuts of meat. They contain about 7 grams of protein per ounce (25 grams per 100 grams, depending on the type of meat) and they will help you build lean muscle mass. Some of the best sources of lean protein include chicken, fish, turkey and lean beef. Combine them with eggs, milk, cottage cheese as well as vegetable protein and you will offer your body all the protein it needs to build new muscles. When eating too much food becomes difficult, you can definitely add a protein shake in the equation. And the best source is whey protein. They are the best type of carbs for building lean muscle because they are slowly digesting, offering a gradual release of energy (unlike fast absorbing carbs). They minimize fat gain and give you enough energy to train hard and to build new muscle. Sources of complex carbs include brown rice, sweet potatoes, yams, oats and whole grains (as well as derivate products such as: whole grain bread, pasta, macaroni, cereals etc). The only time when it is actually recommended to consume high-glycemic (fast absorbing) carbohydrates is immediately after your workout. This will replenish your energy, help with growth and recovery and will also spike insulin to deliver nutrients to the muscle. Sources include any type of sweets or foods high in sugar (and especially high in glucose), white bread and white potatoes. Not only they offer high amounts of calories, but they are also healthy for your heart and can improve testosterone levels, which is great for building muscle. Sources of healthy fats include olive oil, avocados, peanut butter and different types of nuts and seeds – almonds, walnuts, hazelnuts, cashew, peanuts, sunflower seeds, flax seeds etc. Consume small quantities each day and also add them whenever you need some extra calories (for example you can add some peanut butter to your protein shake, add some olive oil to your salad or eat a handful of almonds with your chicken breast). Just be careful not to overdo it, as the healthy fats (and fats in general) have A LOT of calories! Getting your daily amount of macronutrients (proteins, carbohydrates and fats) is not enough, and your body also needs vitamins, minerals and fibers. But don’t worry because you can easily get them by consuming fruits and vegetables each day. Not only they will make you feel good and healthy, but many vitamins and minerals can support the production of testosterone and other muscle building hormones. Feel free to add a multivitamin supplement as well, but make sure you consume AT LEAST one fruit and one vegetable each and every day! 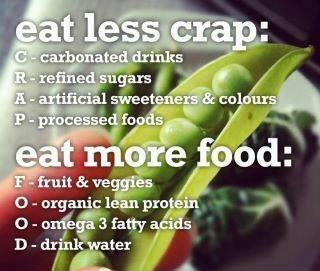 So there you go…the best foods for building lean muscle mass! Make a strict diet plan, stick to it, be patient and you will make “all kinds of gains” (as the Hodge Twins would say). And to make the journey more pleasant, have a cheat day once in a while and treat yourself with the food you really love!